The Trans-Siberian Railway or Trans-Siberian Railroad , built 1891-1916, is a network of railways connecting European Russia with Russian Far East provinces. At 9,288.2 kilometres (5,787 miles) and spanning 8 time zones, it is the longest railway in the world. The main route is the Trans-Siberian line, which runs from Moscow to Vladivostok. 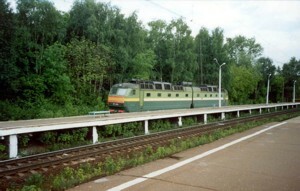 A second route is the Trans-Manchurian line, which coincides with the Trans-Siberian as far as Tarskaya. 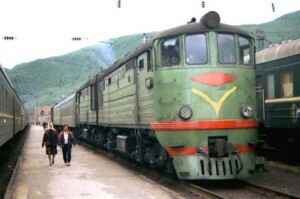 The third route is the Trans-Mongolian line, which coincides with the Trans-Siberian as far as Ulan Ude on Baikal's eastern shore.The Trans-Siberian Railroad now has several branch lines, especially the line connecting Omsk with Yekaterinburg. 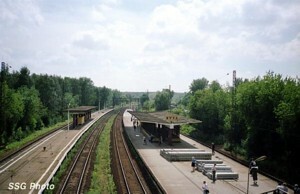 A branch to Ust-Kut connects with the Baykal-Amur Mainline (BAM). The railroad is also linked with the Turkistan-Siberia Railroad. 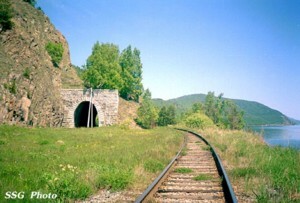 Trans-Siberian railroad construction was held in difficult climate conditions, through low populated or not populated areas with tense forests.